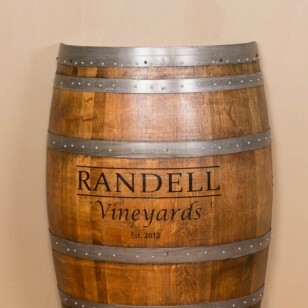 Personalized Half Barrel by Napa East. 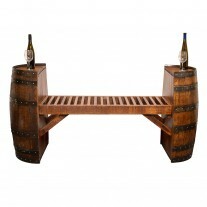 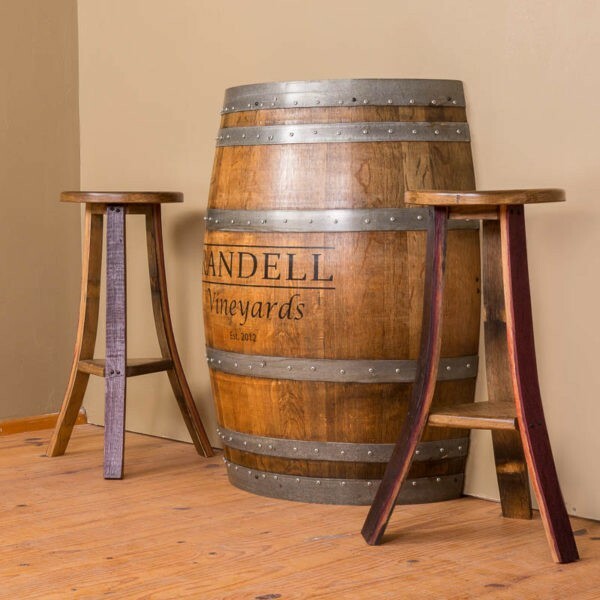 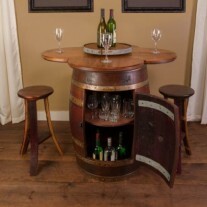 Personalize this handsome piece of wine barrel furniture with your family name and date. 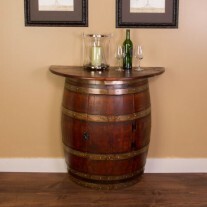 Beautiful solid oak wine barrel fits snug against your wall with our half barrel design. 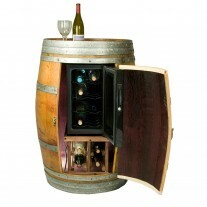 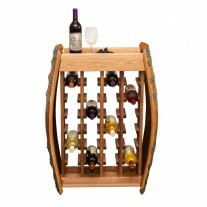 Classic Wine Barrel Designs distinctive artisan style piece is stained to enhance the decorative grain of the natural wood wine barrel. 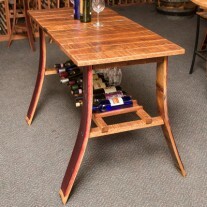 Width: 28″ x 12″ deep. Personalized Half Barrel by Napa East. 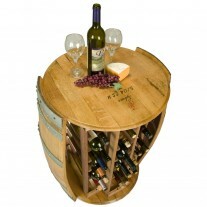 Personalize this handsome piece of wine barrel furniture with your family name and date. 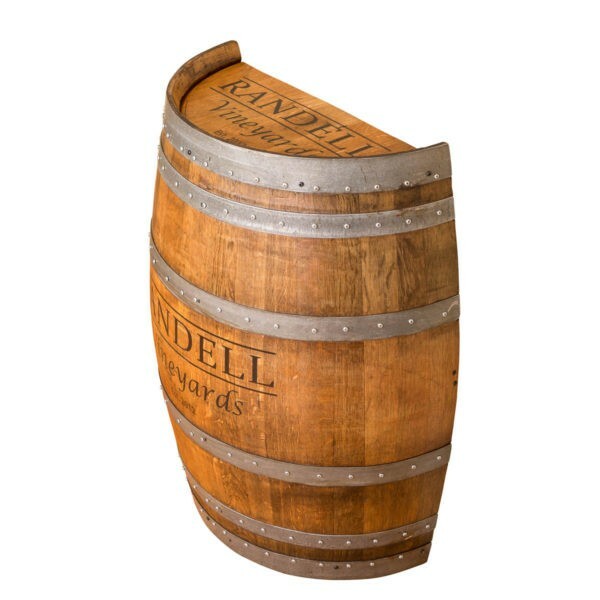 Beautiful solid oak wine barrel fits snug against your wall with our half barrel design. 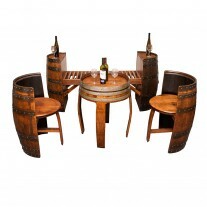 Classic Wine Barrel Designs distinctive artisan style piece is stained to enhance the decorative grain of the natural wood wine barrel. 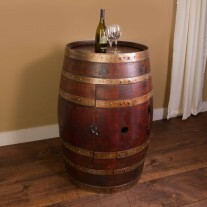 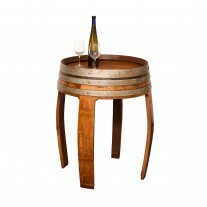 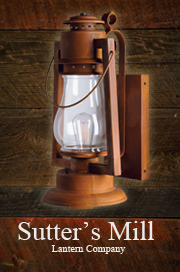 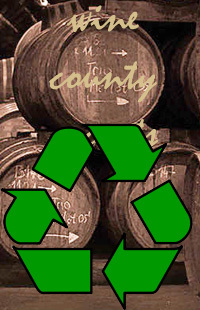 Half Barrel will be a show piece for any room in your home. 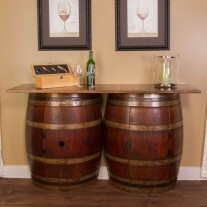 Barrels are finished in a satin urethane. 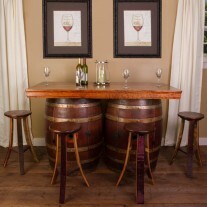 Use alone or add a set of Wine Barrel Wood Stools for additional seating.